On the site’s sixteenth birthday, in the August of 2016, we thought it was only customary to revisit our first ever event month. Debuting fifteen years earlier, the original Shi’ar Event Month set the bar for all events going forward, and introduced us to the “Alien Races” and “Friends or Foes” sections. Many of the articles released during the original event were well overdue for a refresh, with most having not been updated since 2001. Our ultimate goal with this event was to update all of these articles, in particular the Alien Races articles, which were refreshed with a new expanded format. However, it wasn’t all just article updates; a whole slew of new content was introduced also. The original event was unique in that it featured no character articles; something we offset in this event by releasing five character articles, along with a new Villain Team entry and Crossover entry. The Event was brought to you by Gremlin, Gibbering Fool, Monolith, Douglas Mangum, Binaryan, Dean Clayton and Daytripper. Since coming onboard, new contributor Gibbering Fool had taken a particular interest in updating the site’s Alien Race articles, so the event saw update of all of the original articles; the D’Bari, P!yndyr, Mephistoids, Sidri, Timorians, Uncreated and of course the Shi’ar. The Shi’ar article in particular was a large update, with the article split into four sections: History, Technology, the Shi’ar Galaxy and a Family Tree of the Royal Family. Absent from the original event, this event saw the release of Character Profiles for everyone’s favorite sword-wielding Shi’ar, Korvus Rook’shir, as well as Warbird. In addition, Spotlights were released for three of the Shi’ar’s most notable rulers: Deathbird, Vulcan and Gladiator. Not content just to focus on individuals, a new Villain Team entry was written for Vulcan’s Praetorian Guard. Additionally, the Imperial Guard entry, which helped debut the Friend or Foes section in 2001, received an update. The page wouldn’t be “pretty in pink” for its Sweet Sixteen without an update to the M’Kraan Crystal Objects article. 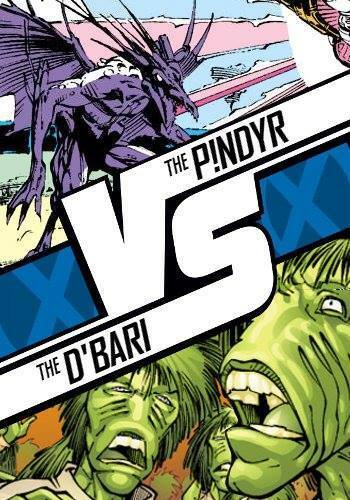 For this event, we went a little outside the box and featured a Crossover entry that didn’t include any X-Men titles. Developed by longtime contributor Daytripper, Operation: Galactic Storm may be a twenty issue Avengers event but it prominently featured X-Men mainstays, the Shi’ar and the Imperial Guard, with long-lasting repercussions for the Shi’ar. During the Shi’ar Revisited Event Month, our Issue Summary Section grew by 24 entries. 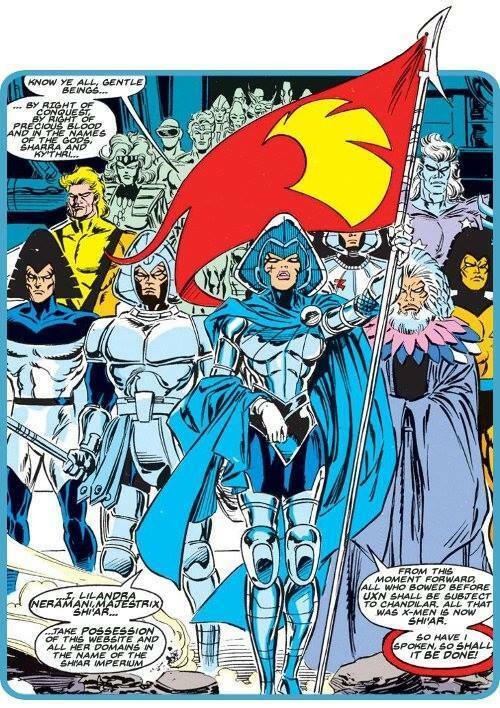 Twenty of these were from those which formed the Operation Galactic Storm crossover, while the remaining four were part of a more recent storyline featuring the Shi'ar.